Come discover why your credit lasts longer with DigiCell. Calls to any DigiCell or BTL number is only $0.47* per minute & calls to the other provider is $0.50* per minute. With the most mobile customers in the country, our On-Net rate gives you the best rate to call anytime, anywhere. With DigiCell’s prepaid service, there is no monthly bills or commitments, simply pay as you go! You purchase credit in advance of services use. You can top up as much so you always have control over how much you spend. 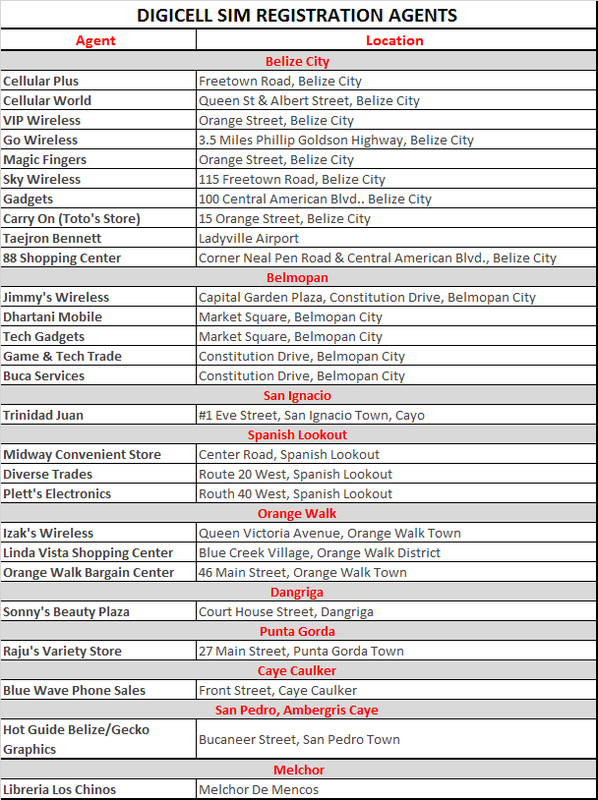 What are DigiCell PrePaid rates? With DigiCell your credit NOW lasts longer! On-Net rates are $0.47*per minute, i.e. calls to anyDigiCell and BTL numbers. Off-Net rates are $0.50* per minute, i.e. calls to the other provider. Allcalls are billed per second. What is PrePaid Account Balance? PrePaid Account Balances reflects “Primary Balance” and “Bonus Balance”. Primary Balance is the actual dollar value purchased from any recharge. Bonus Balance is the FREE credit received on a promotion day. What can my PrePaid credit be used for? Please see below use of PrePaid credit. What is Per Second Billing? Per Second Billing means all calls from your DigiCell number within Belize are billed per second. For instance, if you make a call for 15 seconds you are charged for 15 seconds. If you talk for 1 minute and 15 seconds then you are charged for 75 (60 +15) seconds. How can I check my PrePaid balance on my mobile phone? You receive balance and expiration information on all active services. You may receive multiple text messages depending on the amount of active services you have. How can I change language on my device? How do I use an e-pin to top up my Mobile PrePaid Account? Does my service come with Voicemail? Yes, every DigiCell customer gets voicemail at no extra cost. How do I set-up my voicemail? It's as easy as 1-2-3 - literally! Simply dial 134 and follow the instructions. We recommend that youchange your default password from 1234 to a password that you will remember easily. How much is a prepaid sim and what does it include? Where can I purchase a SIM? You can purchase a DigiCell SIM from any BTL office or authorized SIM Agents countrywide. What do I need to register a SIM?